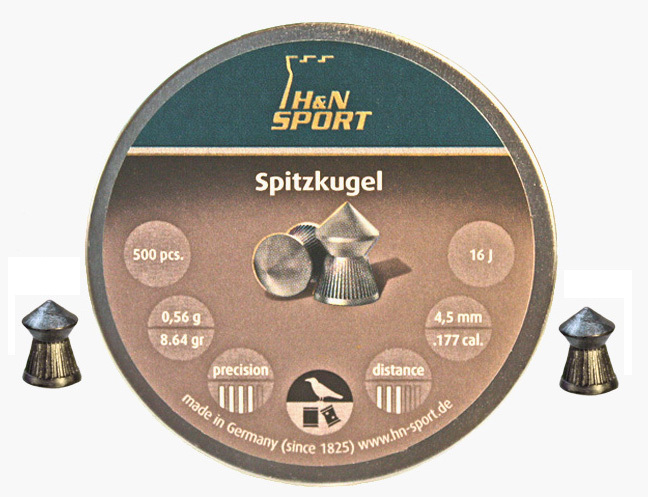 The "Spitz" is a medium-weight, very accurate pellet for hunting and precision shooting at medium ranges. It's aerodynamic design yields flat trajectories and high impact. It's also a ribbed pellet for good field results. This pellet has a larger waist and outstanding balance that provides greater stability and better air flow than thinner waisted copies. The gentle slope of the rear side of the pellet results in a pellet shape that produces less turbulence than the sharply undercut head found on other brands.